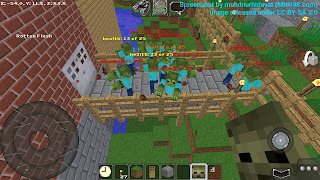 I write about Minetest in separate website because I love it very much! Saya tulis tentang Minetest dalam laman web berbeza kerana saya sangat sukakannya! ساي توليس تنتڠ Minetest دالم لامن ويب بربيذا كران ساي ساڠت سوككنڽ! This is a brief history of how I know Minetest. What is Minetest? If you don't know what it is then read it here before continuing. All happened after my laptop has broken down, you can read about that here. Basically, I'm looking for more mobile games since I can no longer use my laptop. 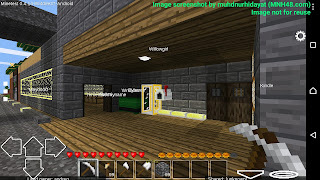 While I look at the Google Playstore, I found several games that is similar to games I used to play on laptop, and one of them is Multicraft, which is similar to Minecraft that I played on local LAN. 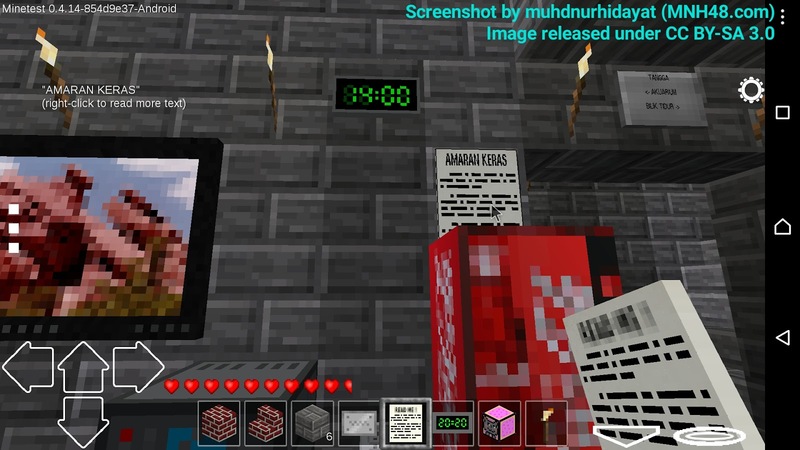 There is Minecraft Pocket Edition but it is expensive. 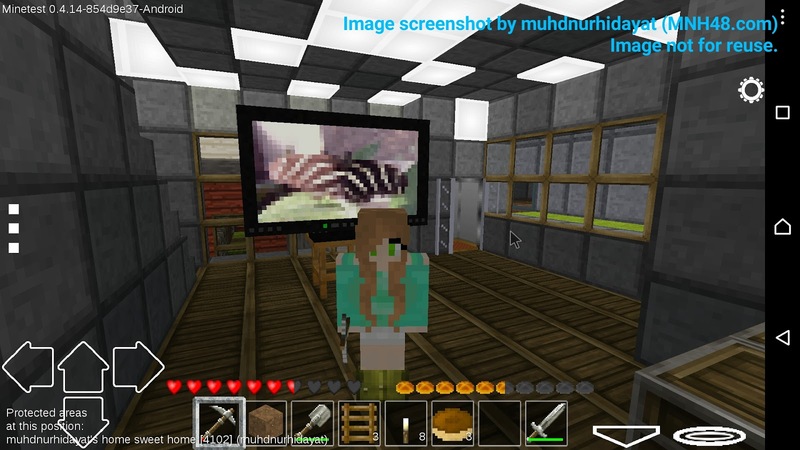 I don't have Minecraft account, I just play it locally as one of our friend has bought the full game and give us and friends copies of the game, saying that it is legal to copy it to play locally via LAN, and they know we can't afford the full game and it will be useless to buy online account as the online account is very extremely expensive and we would not be able to play much online as the internet here is very bad. On 7 November 2016, I play Multicraft for two days, then I'm thinking if the game could be modded because Minecraft that we play over LAN were modded. I search for Multicraft's folder in internal storage and I actually found it, and to my surprised, there's another folder inside it and the folder is called "Minetest". Then, I think that must be some sort of engine that Multicraft is using, so I went on and search for Minetest. 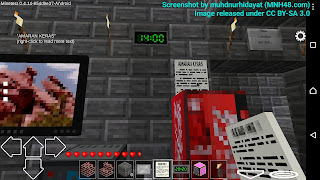 Surprisingly, I found Minetest website and all the downloads which includes Android APK. I installed the original Minetest from its website and say goodbye to Multicraft. On 9 November 2016, I started playing Minetest in singleplayer as the internet is not good for a few days, I downloaded a few mods that I feel good and build my dream house in it. I tried to duplicate the few thousand-blocks long train system (carts) that I've built in Minecraft on LAN, but I'm quite dissapointed with the fact of the Mesecons mod at that time where the signal lost after a few hundreds blocks, but there are other things that exists in Minetest but not in Minecraft which make me fall in love with Minetest. 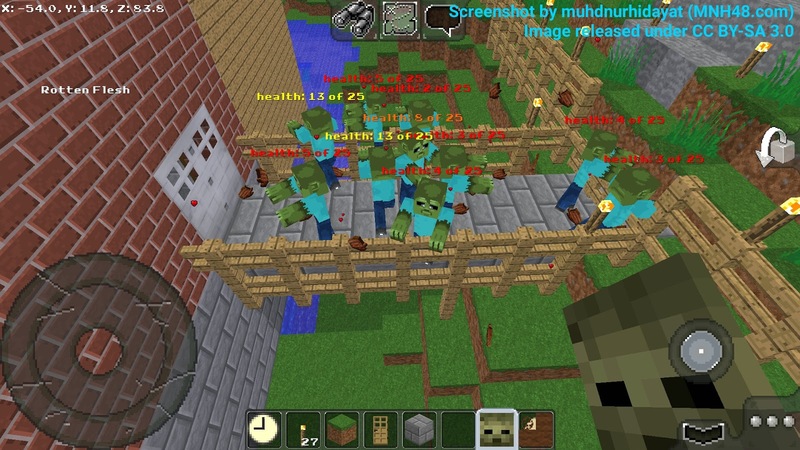 Some people would ask, isn't Minecraft limits to 256 blocks or so? Ehm, that's the height & depth limit, not the length & width. You did see something like a cursor in previous image on the poster, right? Well it is. I saw that Minetest is being released to support multiple platform, so I think it could maybe detect my keyboard and mouse like OpenTTD which is also release for multiple platforms. I went ahead and plug in my keyboard and mouse to the 6-port USB Hub which connected to my phone via OTG. Minetest detects my keyboard correctly, and all keys are responding as expected including the F-keys. F5 for debug info is cool. However, it didn't directly detect my mouse, so the mouse is just acting as if it is a finger, clicking the button is same as tapping screen, double-click button is same as double tapping screen, pressing button is same as long press the screen. Left and right mouse button are the same. 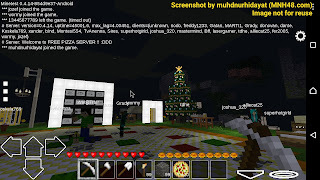 On 17 November 2016 around 5AM, since I have new mobile internet which is less expensive and better signal, I tried to play Minetest in multiplayer for the first time, and the first server I went to is FREE PIZZA SERVER!!. I went there because ... pizza is very expensive in real life at here, so when pizza is free, I wonder how it is even though it's just game. The spawn area is laggy so much, but I think that's normal as I'm on phone (not tablet, leave alone PC). I did take screenshots each time I went to new servers. I couldn't get free area to build house and gave up on the server. On the same day at noon, I went to another server called Liberty Land. Again, I could not find any free area to build my house so I go to other server. 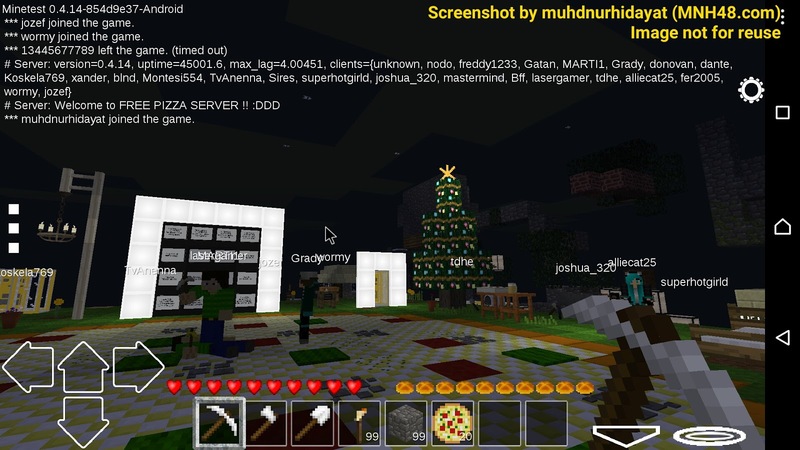 On 18 November 2016 around 3AM, I went to a great server which I stay until now. It is IhrFussel's Server. The lag on the server is less than the other three, and after wandering around spawn building, I found an unprotected area and claim it to build my house. Fussel himself also helped me while I'm building my house there, the house I built on IhrFussel's Server is also the first house I ever build on multiplayer Minetest, as I can't even find free area on the earlier three servers. I remembered that a player stuck in my house wall (idk how she got stuck) and I thought it's a glitch and she maybe just walking in front of my house, the moderator Jesslyna came to free her from the wall. I feel guilty because I didn't help her. IhrFussel's Server - Inside my house! On 25 November 2016, I was made a helper on IhrFussel's Server. It is basically moderator-in-training. The moderators at that time were AbJe, unicamerally, jujujl, PsychoDragon, Calussi, Jesslyna and Silph whereas the available helpers were Zurul, anny, chantal123, LMNP, noorleila and me, muhdnurhidayat. On 7 December 2016, I became a moderator on IhrFussel's Server along with LMNP. I have these dates as I screenshot them, and the screenshots were saved with the time and date as the filename. Then, I started writing more stories on the server in separate posts. 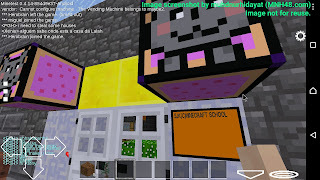 I moved them to new website which is where you read now at mt.mnh48.com instead of the main website at en.mnh48.com as the contents on Minetest is growing. Written by muhdnurhidayat. Click here for copyright info. The dates & times on this website are Malaysia Standard Time (MST), UTC+8 unless stated otherwise. Tarikh dan masa yang digunakan di laman web ini ialah Waktu Malaysia Piawai (MST), UTC+8 melainkan dinyatakan sebaliknya. تاريخ دان ماس يڠ دڬوناكن د لامن ويب اين اياله وقتو مليسيا ڤياواي، MST ايايت UTC+8 ملاءينكن دڽاتاكن سباليقڽ.